Were you happy with our service? We’d love to hear from you! Click here to see our BBB rating or to give us a review. Advanced Pest Solution contact us for a FREE Pest Control Estimate to eliminate ants, roaches, fleas, mice and bed bugs in NE Oklahoma or SE Kansas. Advanced Pest Solution Residential & Commercial service, Contact Us! 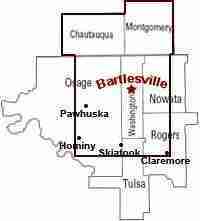 Serving Bartlesville, Coffeyville, Sedan & Dearing, KS and all towns in between. If you need Pest Control contact us @ Advanced Pest Solution. FREE Pest Control Estimate to eliminate ants, roaches, fleas, and mice from your home or business. Whether you need one treatment or monthly service, we are happy to evaluate your home or business and give you our FREE Estimate for pest control services. We proudly service NE Oklahoma and SE Kansas, including Bartlesville, Dewey, Copan, Nowata and South Coffeyville, Oklahoma as well as Coffeyville, Dearing, Caney, and Sedan, Kansas. Contact Us @ Advanced Pest Control, FREE Pest Control Estimate to eliminate ants, roaches, fleas, and mice. Serving Bartlesville, Dewey, Copan, Nowata and South Coffeyville, Oklahoma as well as Coffeyville, Dearing, Caney, and Sedan, Kansas.